And the streak continues. Now that I've reached 3 bad books in a row maybe I'll get one I like--you know since bad things supposedly come in threes. Bane. I tried really hard not to picture him as the villain from The Dark Knight Rises, but you know what? I shouldn't have bothered. 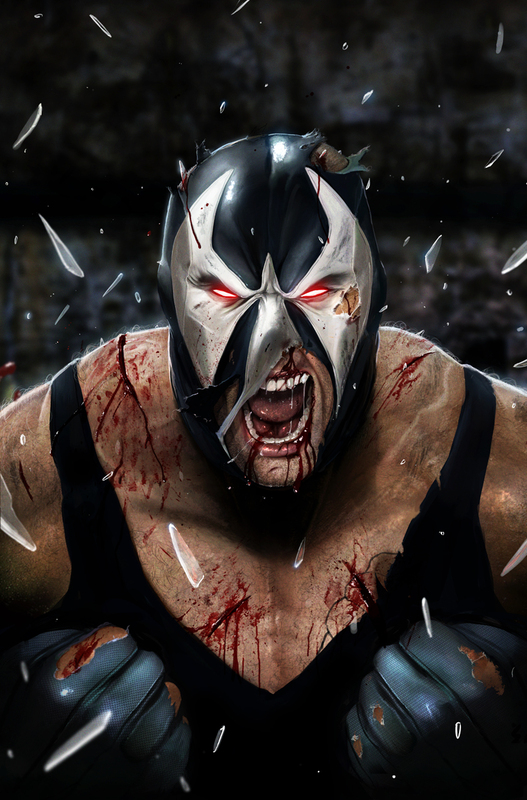 I have a feeling that had I watched that movie, I would have liked that Bane better than this one. Alas, he was probably more entertaining too. Anyway, Bane asks Lydia to do some translating on the side and because she is in such dire financial straits, she agrees to do it--for an exorbitant (for that time) sum. For a while, the only interactions they have are when he drops off more documents for her to translate (she speaks English, Italian, Russian, Greek, Albanian, and Turkish), but eventually they start spending more time together, despite the fact that Bane has told her that he will never marry and that she has a huge crush on the man. I have to admit that Bane can be a bit charming from time to time--he takes Lydia out to the country when she tells him that she'd never seen cows and that she hasn't been outside of Boston since her family disappeared when she was 9 years old, he gives her a compass, and he tried to take her to the Boston Museum of Art (it was closed--for a Christian, he sure isn't familiar with the Blue Laws). You're probably asking yourself what is so bad about all of that? Well, nothing, to be honest. Those parts of the story are all pretty decent and the writing is really nice. My problems are mostly with Bane. First of all, he is a lobbyist and a bully (He's how I picture Chris Christie once he's no longer allowed to be Governor of NJ and fails to win the presidency next year). He may not have been called that at the time, but that sure as hell is what he does. He is described as influencing politicians, even causing the governor of Vermont to lose his re-election bid because he went against Bane's wishes regarding a bridge connecting Vermont and Canada (which, according to several Vermont-ites, is wholly unnecessary). Why is Bane against this bridge? Apparently, it will make the Opium Trade between the US and Canada easier for smugglers. He would need to leave Lydia as soon as he discovered how opium was being smuggled into Boston, but before he left, he wanted to share his gift of faith with her. There was very little else he could give to this glorious woman, but that was one thing he could do for her. Camden, Elizabeth (2012-10-01). Against the Tide (p. 127). Baker Publishing Group. Kindle Edition. Lydia, you see, is not religious. Before her parents disappeared/drowned, her father talked to her about the Goddess of the Moon and she would wish on the moon for things she wanted to happen. According to Bane, this is foolish in the extreme. How that is any different than praying to the Sky Bully (as Joss Whedon calls him) is beyond me. Bane thinks this is funny and pokes fun at her because she still goes out at night to wish on the full moon. In his mind, taking away her beliefs and replacing them with his is a gift. How very Christian of him--literally (when the Roman Catholic Church was spreading the religion around, they would takeover lands and force Christianity upon the masses, whether they wanted it or not). Camden, Elizabeth (2012-10-01). 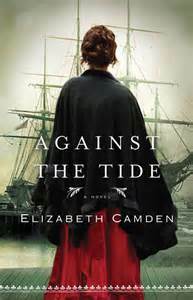 Against the Tide (p. 128-129). Baker Publishing Group. Kindle Edition. Oh, Bane. You may have religion, but I have psychology. The reason Lydia compulsively orders her life is not because she needs religion, but because she needs to feel like she has control over something. Her parents died on her when she was nine and since then nothing in her life has been under her control. She desperately needs to control something. Religion is the last thing that she needs, especially one that relies on the idea of a supernatural being deciding everything for you. This is where I gave up on this book. It really is a shame. Lydia was a very intriguing character and there are clues that she would have to fight off an opium addiction thanks to the "medicine" the orphanage she ended up in giving it to her whenever she had trouble sleeping. She deserved a much better hero than the one Ms. Camden gave her. Unfortunately for her (and me), she got Bane. Oh, well. Had I realized this book was an inspirational romance, I wouldn't have touched it with a 10 ft pole.